It's difficult to encapsulate a legacy of over 90 years. It may rest in the skyline of hometown Kansas City or in other communities across the country where JE Dunn cranes reach skyward. Maybe it's in the ability to survive and grow as a family and employee-owned business, or in the way we have fostered loyalty among generations of employees. One thing is certain: the JE Dunn legacy can be found in its spirit of excellence, of giving and growing into the 21st century, and its continued commitment to core values. John Ernest Dunn (Ernie) founded JE Dunn Construction Company in Kansas City, Missouri in 1924. What began as a small, family-run residential contractor would eventually grow into one of the top general building contractors in the country with approximate annual revenues of $2.7 billion and 20 office locations coast-to-coast. The years following JE Dunn Construction's founding were interesting times that saw the company building for the war effort, weathering economic ups and downs, and maintaining level-headedness while labor unions formed and civil rights struggles ensued. Still, throughout these periods of turmoil, the construction company grew. When Ernie Dunn passed away in 1964, the company's net worth was $1.4 million and it employed 35 people. 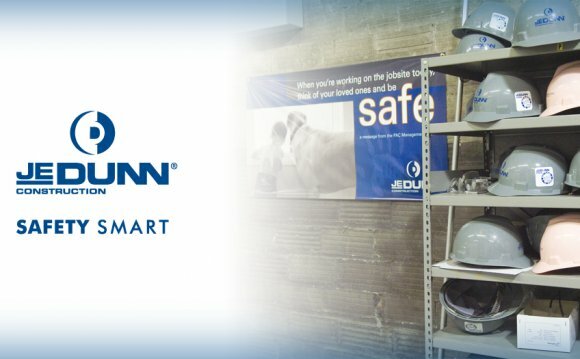 The number and size of construction projects rose over the next ten years as JE Dunn Construction solidified its place as one of Kansas City's largest, most reliable, quality-minded commercial contractors. In 1981, a core value of the company, giving to and meeting community needs, was recognized and formally structured through the establishment of the Dunn Family Foundation. The Foundation's emphasis then was the same as it is today: education, health and human services, youth, the disabled, the elderly, ethnic minorities, and community development. To this day, corporate and personal involvement in the communities in which we work is encouraged. In 2010, employees donated well over $700, 000 to charities. On a national level, JE Dunn annually commits more than 10 percent of its pre-tax earnings to charities, a time-honored tradition of giving back to the community. In 1990, JE Dunn Construction was a multi-faceted company employing 1, 200 people in the field and office with revenues exceeding $155 million. Engineering News Record (ENR) ranked JE Dunn Construction 247th of the top 400 contractors nationally. Expansion to areas outside of Kansas City became part of the growth strategy of the company. In 1990, controlling interest of Minneapolis-based Witcher Construction was acquired. In 1992, Drake Construction Company in Portland, Oregon became part of the team. In the late 1990's, LTB Contractors, Inc. of Houston was acquired and then Hughes/Smith, Inc., a Colorado Springs-based general contractor. January 2000 witnessed the acquisition of Atlanta's R. J. Griffin & Company General Contractors. These acquisitions rounded out the JE Dunn Construction Company team. In 2015, we were ranked the tenth largest general building contractor in the United States.